Below is an interactive map showing the location of The O'Brien Press. You can zoom in and out using the + and - buttons on the top left of the map, and navigate using the arrows. 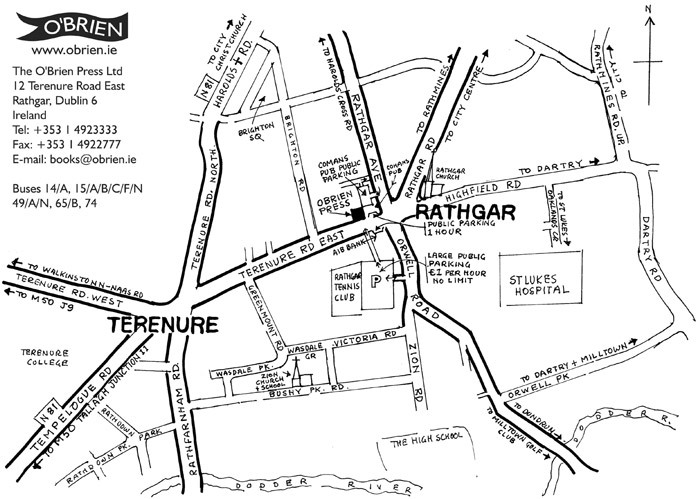 Note that we are located at Rathgar Crossroads: at some magnifications this map incorrectly shows this as Terenure!